This community steps up in big ways to support its FFA chapter, thanks to the tireless efforts of the agricultural education instructor. You, too, might be surprised by the support you receive – if you just ask. When it comes to providing opportunities for her students, there is nothing Rachel Sauvola won’t do. 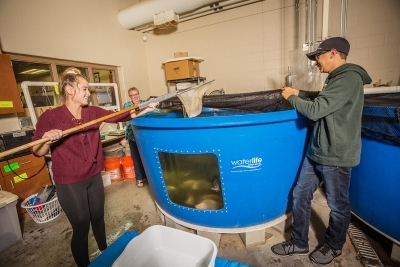 The agricultural education teacher and FFA advisor at New Richmond High School in New Richmond, Wis., helped a student facilitate a project to hatch shark eggs in the aquaculture lab, for example. 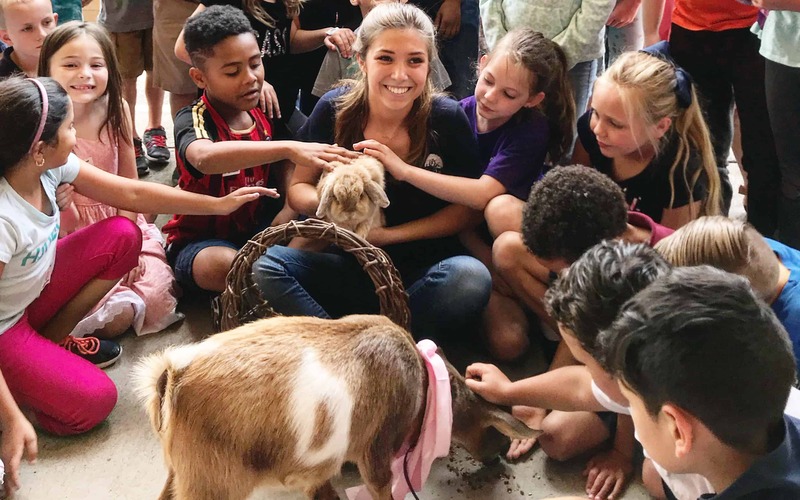 She also asked local farmers to donate bull calves for the animal science program, and she even received a brand-new farm truck from a local Dodge dealership where the minimal lease is paid for by donations into the Ag Education Fund through the New Richmond Area Community Foundation. “High school students have so much good to offer the world, and all it takes is someone willing to facilitate those projects,” Sauvola says. 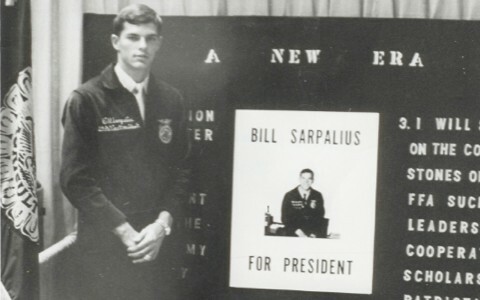 Although Sauvola knew she wanted to be an agriculture educator after attending her first FFA meetings in seventh grade, she had no idea that the role would involve writing grants or overseeing donations to support student projects or negotiating deals to secure the infrastructure to grow the program. Sauvola considers the extra tasks small sacrifices to see her students succeed. “I get to witness all of the leadership skills that my students acquire pay off,” she says. The effort Sauvola has put into developing the agricultural education program and FFA chapter at New Richmond High School is paying off, too. And the community has joined the cause. 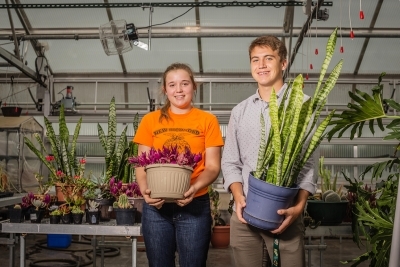 Students Nick Cheslock and Rachel Skinner in the green house in the FFA classroom. Thanks to a partnership with the city of New Richmond, the New Richmond airport and the school district of New Richmond, the school secured 20 acres of land and intends to build a series of state-of-the-art agriculture buildings, including a new beef barn, on the site. The New Richmond SOAR (Student Opportunities with Agricultural Resources) Educational Center, coupled with the facilities at the high school, offers hands-on learning opportunities in all aspects of farming – from greenhouse production to aquaculture. The SOAR facilities include a barn where students raise bull calves, and Sauvola hopes to add swine, sheep, goats and additional poultry in the future. In 2016, students began raising four donated bull calves that produced almost 1,500 pounds of beef that were served in the school lunch program this spring. Students also raise chickens, ducks and tilapia and grow fresh produce. All have been sold into the school lunch program. Westfields Hospital and Hudson Hospital also purchase tilapia from the program. Sauvola notes that demand for the farm-to-table fare, which she markets as “made with student love,” exceeds what the program is producing. She hopes to expand production to more than 2,000 pounds of beef and enough excess eggs and produce to set up a student-run booth at the local farmers market. Attracting enough students to meet the demand isn’t a problem. When the new school opened in 2008, 20 students were interested in large animal science classes. Now, 90 students are enrolled in that course, and, during the last school year, Sauvola had 436 course requests for the 16 different agricultural education classes she teaches (in a high school with 940 students). An additional part-time agriculture educator joined the program last year to keep up with the demand. 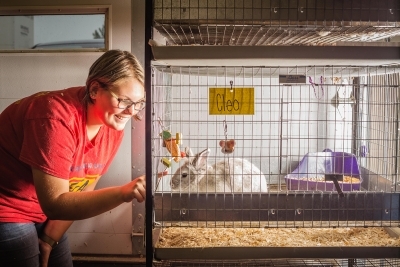 Student Brook Frazier with one of the rabbits she is raising at the FFA classroom area. 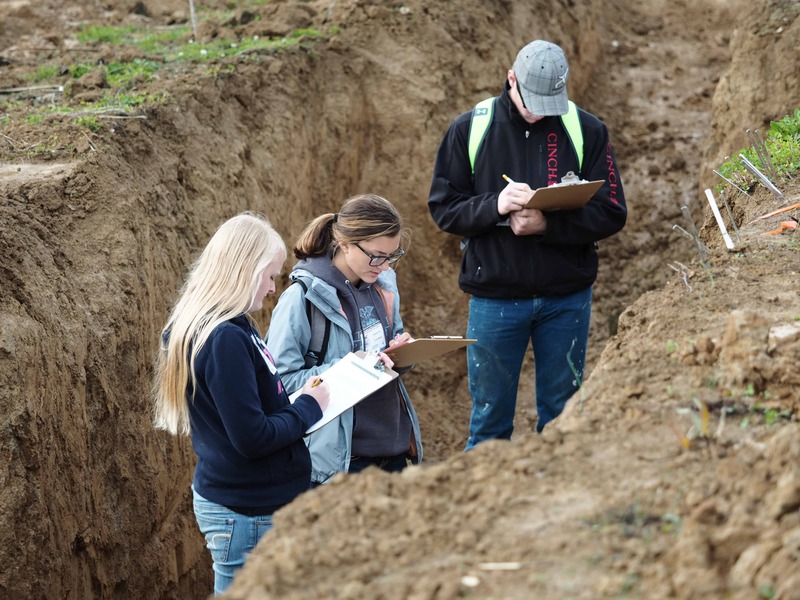 The educational offerings are certainly part of the high school, but Sauvola considers it a community agricultural program. In the 19 years Sauvola has worked for the school, she has partnered with countless organizations to get students involved in community projects, including treeplanting events and a U.S. Fish and Wildlife Service project to restore native prairielands. “This program works because we have a tremendous number of volunteers, and we want to do our part to give back to the community that does so much for us,” Sauvola says. Only a small percentage of the support the chapter receives comes from FFA alumni. In fact, Sauvola avoids the word “alumni” when recruiting volunteers, preferring to call them FFA friends, families and supporters. She uses a volunteer inventory created by the National Organization to recruit new volunteers and signed up 52 new supporters in 48 hours. 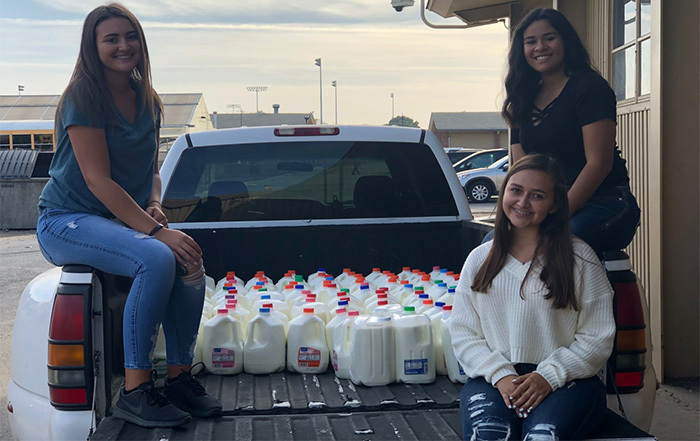 Sauvola has learned that the community is always willing to step up when its FFA members are in need. The SOAR Educational Center is “donation central” where feed, animals and pallets are dropped off on a regular basis. Local farmers have even donated ducklings and a 650-pound heifer. In 2017, when the New Richmond FFA dairy cattle judging team won first place at the World Dairy Expo and received an invitation to travel to Europe to take part in the International Dairy Judging Tour, supporters went above and beyond to make sure the students could participate in the once-in-a-lifetime experience. A self-described mover and shaker, Sauvola believes it’s important for students to see her advocating for the program. “It’s good for them to see an adult set goals and work hard to achieve them,” she adds. Sauvola is adamant that advocacy includes spreading the word about the agricultural education program and FFA chapter far and wide. 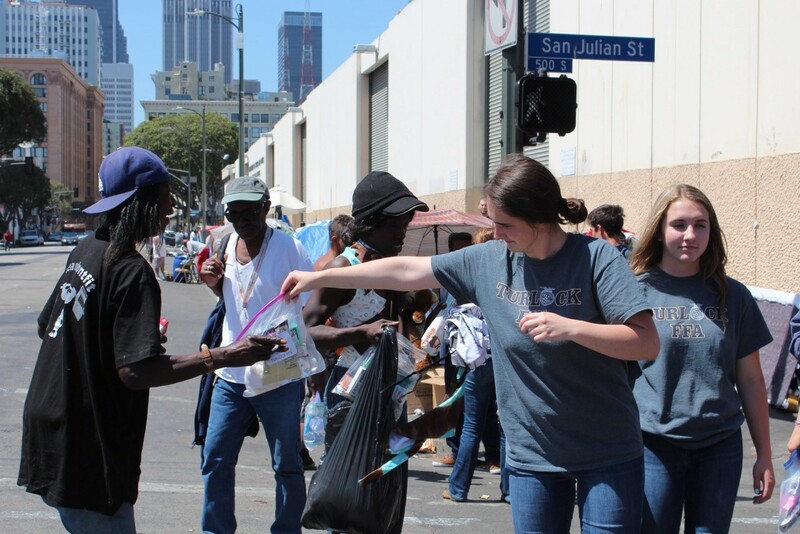 In addition to being active in the community, she often speaks to the media and generates buzz by talking about the program to anyone who will listen. SOAR and the agricultural program at New Richmond High School have developed an excellent Reputation for top-notch education. Visitors from seven states have visited New Richmond to tour the facilities and the SOAR Educational Center, and several students have transferred to the high school from neighboring towns because of the program. When FFA member, alumni and supporters come together, good things happen. Here are two more projects that prove how local chapter and communities benefit from your time, talent and treasure. As part of Give FFA Day in 2018, DeWitt Central FFA members in DeWitt, Iowa, coordinated a meal packaging event at Central DeWitt High School. Members of the North Scott FFA and Easton Valley FFA also joined, along with alumni and supporters, to package 51,000 meals for food-insecure families. The National FFA Foundation depends on the generosity of its supporters to fund opportunities for agriculture students and teachers nationwide. Here are a few ways you can give. • INDIVIDUAL DONATIONS: You can make a one-time gift or set up an automatic recurring donation. Contributions in any amount are welcome and appreciated. 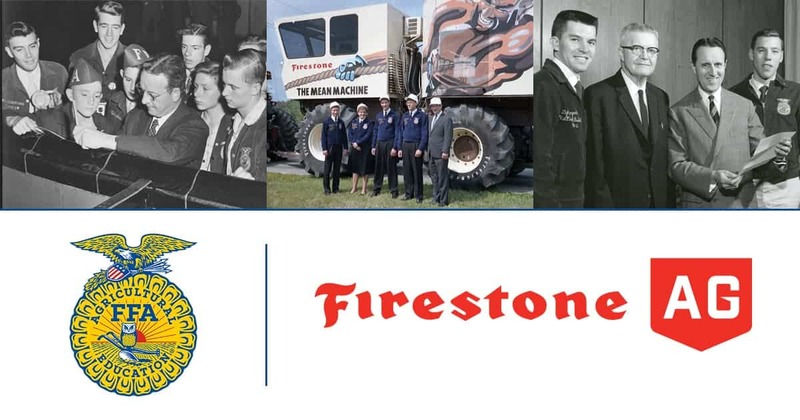 • SPONSORSHIPS: Businesses and corporations can sponsor FFA to invest in the next generation of agriculture leaders. 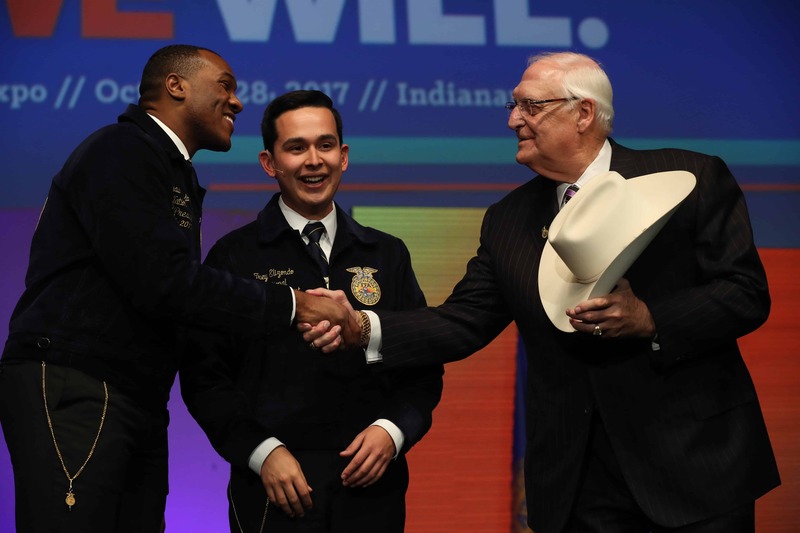 Sponsors reach nearly 670,000 FFA members and more than 13,000 agriculture teachers nationwide. 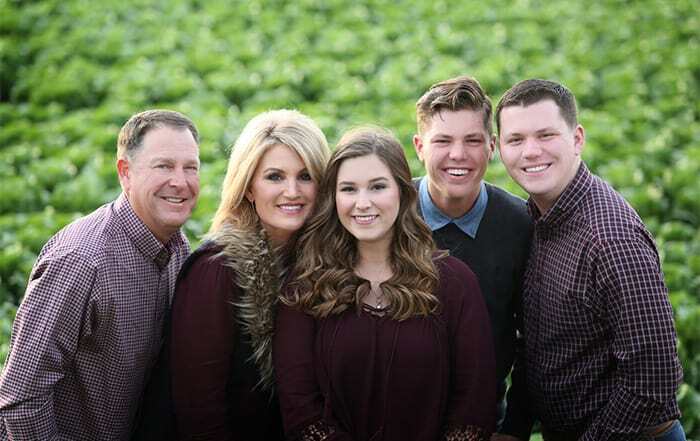 • MEMORIALS AND TRIBUTES: The National FFA Foundation welcomes gifts made in honor of or in tribute to someone special. • ENDOWMENTS: Establish an endowment with a minimum gift of $25,000. 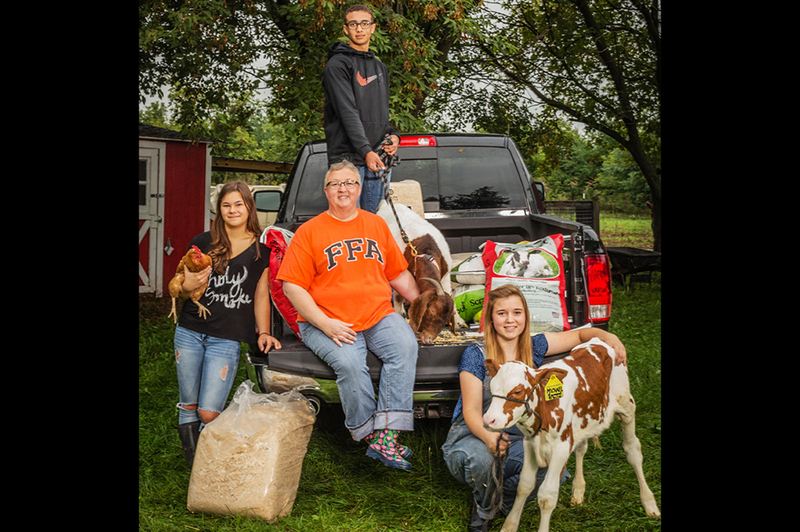 Endowment funds provide both immediate and long-term benefits for FFA. • PLANNED GIVING: Consider including the National FFA Foundation in your estate planning. The organization offers several options for planned giving, including securities, real estate and bequests. 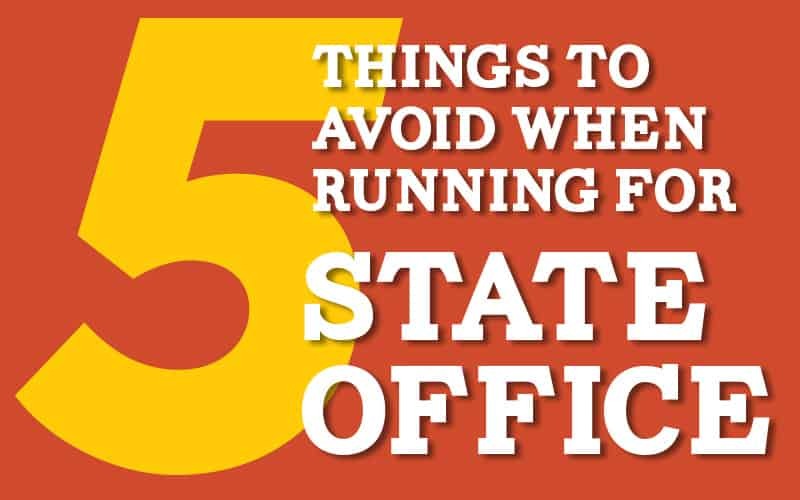 To learn more, visit FFA.org/Foundation.